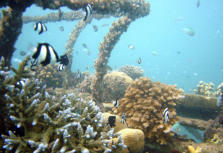 ACCELERATED NATURAL CLIMATE RECOVERY Technology for counteracting increasing ocean acidity on coral reefs is based on accelerating of the natural process that restores the planetary carbon balance - atmospheric CO2 forms acid rain, that dissolves limestone rocks producing calcium carbonate, that rivers carry into the oceans, where marine organisms absorb/digest it to form coral, shells and vertebrae. This natural bio-calcification restores the planetary carbon balance and eventually forms new limestone rock on the seafloor. 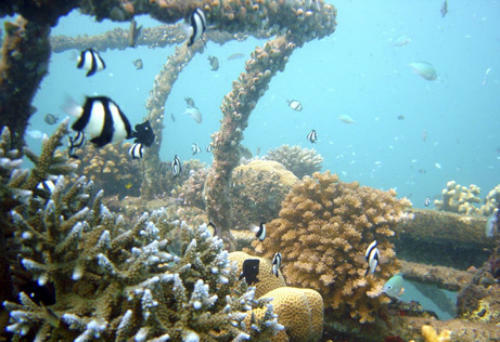 Currently increasing ocean acidity is reducing the ability of marine organisms to digest bicarbonate seriously impairing their growth and health. 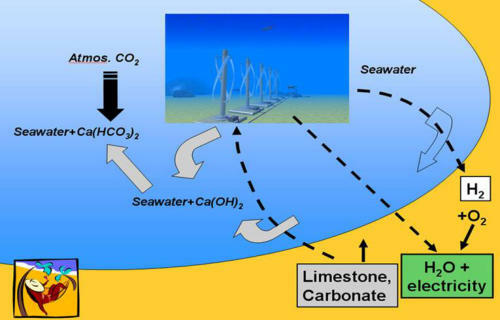 A seawater electrolyzer powered by renewable energy converts limestone dust to a calcium carbonate solution that counteracts ocean acidification* and nourishes coral reefs, shellfish and marine vertebtates while sequestering CO2 and producing H2 a clean fuel that with the renewable energy powers the electrolysers. The calcium carbonate solution will be distributed where required using the same CoolReef renewable energy powered pumps and pipelines as used to mitigate sea surface temperature spikes. 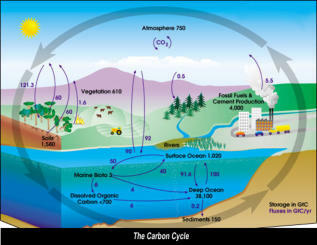 * First proposed by Dr Greg Rau of Lawrence Livermore National Lab and University of California.